Step back in time at Hilltop Meadows Hunt Club. A 2-1/2 hour drive from Chicago, in Northwest Illinois, you can experience Midwest hunting the way it use to be. Rolling hills of native prairie grass, hedgerows, food plots and wooded draws make for unforgettable pheasant, quail, & partridge hunts that will bring back memories from days gone by. For the younger sportsman, this is an opportunity to learn firsthand why we old timers fondly recall the hunts of our youth. Spending a day in the field behind great dogs in cover teeming with birds, you can’t help but recall the good old days. Hilltop Meadows has everything you need to satisfy your hunting desires including: comfortable lodging, challenging 5 stand sporting clays, dove, turkey, waterfowl and trophy deer hunts. So come visit us! At Hilltop Meadows you can walk out the door and step back in time, and realize it doesn’t get any better than this, for these are the good old days of the future. Scroll down & click on Hunts for prices. We were recently featured in a few magazines! 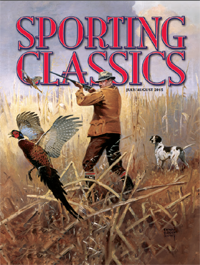 Click here to check out the Sporting Classics feature. 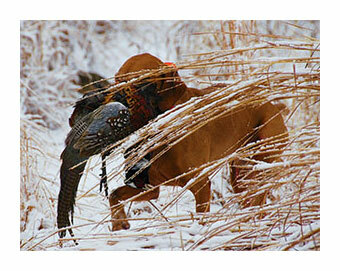 Click here to check out the Gun Dog Magazine feature.